st a point against Croatia, in their first Group D fixture of the 2018 World Cup. 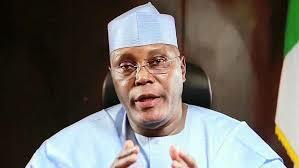 Atiku said the Eagles have never lost their first game at the World Cup and remains confident ahead of Saturday night’s match. “Our @NGSuperEagles have never lost an opening #WorldCup game to a European team. “I am confident in the indomitable spirit of our Super Eagles that today’s game against Croatia will be no different,” he tweeted. Nigeria will be desperate for a win against the Croats, so they can go top of the group, following Argentina’s shock 1-1 draw with Iceland in the first game.